Luckily, we've done a lot of the leg work for you, and what follows are all the tips and tricks, big and small, that you need to know to get you quickly up and running with Windows 10 on your laptop, desktop, or Surface. If you haven't yet upgraded, what the heck are you waiting for?! Windows 10 is not only the best version of the operating system since Windows 7, it's also totally free. More info here. If you're coming from Windows 8, you know about Live Tiles, the interactive and updated "icons" used to display information like weather, news, and more. Luckily, they're now contained within the Start menu. If you're coming from Windows 7, not only are Live Tiles new, but they may not be all that useful. Luckily, it's a simple process to not only remove them, but to slim up the Start menu so it more closely resembles the view you're used to. More info here. Live Tiles can easily to be moved and resized to your liking so that the information you want is just where you want it. To move a Tile, simply click, hold, and drag it. To resize a Tile, right-click on it, then choose a size from the "Resize" option. 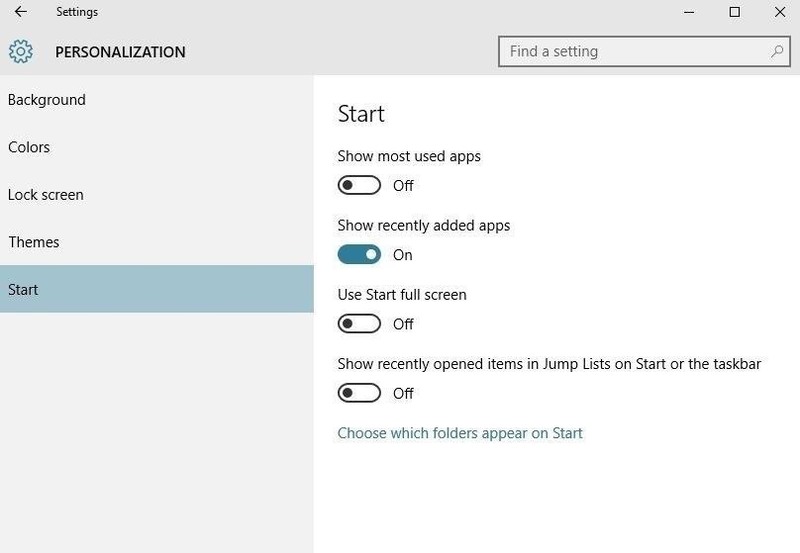 Options for shutting down, rebooting, and sleeping your PC are now located in the Start menu. Simply click on the "Power" entry in the Start menu to access these options. Possibly the best thing about having the Start menu back is the ability to access all your apps from it—just click the "All apps" option to see them in an alphabetical list. While having a full app list is great, it can be a pain to scroll through if you find yourself constantly opening the same few apps over and over. To make them easier to access, simply right-click on them, then choose the "Pin to Start" option to have placed as a Tile. This can also be done with folders and documents from File Explorer. 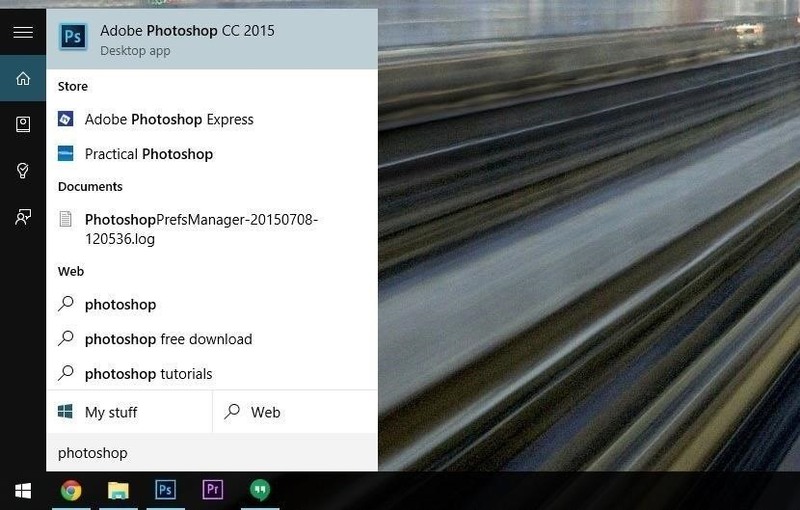 Another great way to quickly get to an app or file is to open the Start menu, either by clicking on it or using the Windows key, then simply typing is the name of the app, file, or folder you're looking for. Head to the Settings entry in your Start menu, then choose the System entry. Now go to the "Notifications & actions" tab where you'll see your top four quick action toggles listed at the top of the screen. From there, you'll see a drop-down menu with all of the possible quick actions that you can assign to that spot. Microsoft's long-awaited voice assistant—Cortana—has finally debuted officially with Windows 10, but there is a bit of setup involved. More info here. Start by clicking the search box right next to the Start button in your taskbar, then click the Cortana icon in the bottom-left corner of the popup, which looks like a circle just above the Windows logo. Accept the agreement and Cortana will be ready to go, but you'll still need to activate the Voice Search hotword. To set up "Hey Cortana" hotword detection on your computer, click the Notebook icon in Cortana's sidebar menu (which looks like a book with a small circle on the cover), then head to Settings. Now scroll down to the Hey Cortana option, enable it, and click the "Learn my voice" button to begin setup. To add addresses such as home, work, and your other favorite places, head to the Notebook menu and click "About Me" again. From here, select "Edit favorites," then click the + button near the bottom-right corner, add an address, label it, and repeat for additional locations. Saying or typing "Remind me to (blank)" will prompt you to enter a time or location for your reminder, or you can skip the second part by saying it all at once—"Remind me to take my vitamins every morning at 8," or "Remind me to buy dish soap the next time I'm at Target," for instance. This is where having set locations will come into play. You can ask conversational questions like "Get me to the nearest coffee shop," or "How far is it to Chicago," so location-based searching is rather easy. Of course, you don't have to pro-actively search for information—Cortana aims to get you the info you want before you want it. As soon as you click the Cortana search box—even before you actually perform a search—you'll see a series of cards that display relevant information, which are ordered by what Cortana thinks is most relevant to you at this exact moment. Start by clicking the task view button next to the search bar (or icon) in your taskbar, which will bring up a button in the bottom-right corner of your screen labeled "+ New desktop." Just click this button to create a second desktop, then click it again to create a third, and so on. Closing your desktops out is equally simple—just click the task view button, then hover your mouse pointer over one of the desktop thumbnails and click the "X" button. The window "Snap" feature was introduced in Windows 7, but now has a few new tricks up its sleeve with the ability to easily maximize windows, snap windows into corners, and a new "Snap Assist" feature. More info here. You can even snap windows to each corner of your display by dragging any window into one of the four corners of your screen, then let go of your mouse button to snap it into a window that's a quarter of the size. What should've been a no-brainer ended up not being an option—changing the color of a window's title bar. If you're unhappy with the drab white, there's some easy trickery you can do to change the color. More info here. Out with the old (Internet Explorer) and in with the new (Edge). Microsoft's long-awaited IE successor is here, but there is a lot to learn about Edge. More info here. Bing, unsurprisingly, is Edge's default search engine, but it doesn't have to be. Navigate to another, and if it's supported, you'll see option to add it to Edge. If a search engine isn't supported, check out our guide for a third-party solution that can add in many search options to Edge. You can add your favorite websites to the brand new Start menu by clicking on "Pin to Start" in Edge's three-dot menu. Dark mode in Edge is easily accessible—just go to Settings and choose Dark from the "Choose a theme" option. The "Do Not Track" option in Window 10 is disabled by default, which notifies online advertisers to not gather or use information based on your location and requests. If you want to enable this feature, click on the three-dot menu and go to Settings -> View advanced settings, scroll down and turn on "Send Do Not Track requests." 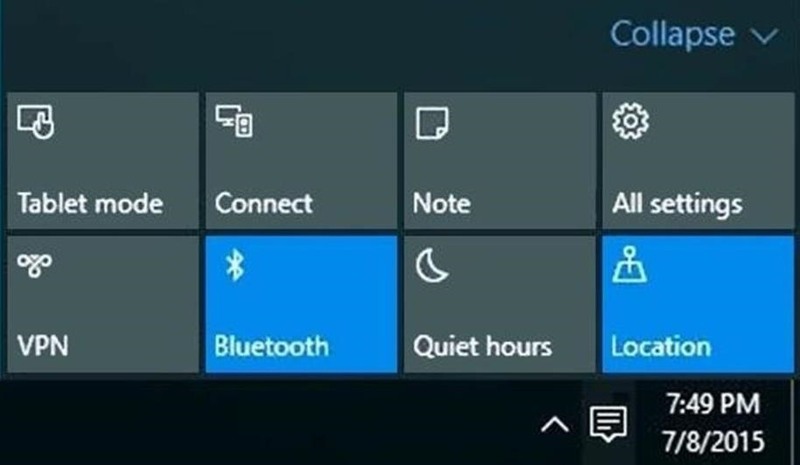 On Windows 10, you can enable caret, or keyboard, browsing by clicking on the three-dot menu, going to Settings -> View advanced settings, and enabling "Always use caret browsing," then turn it on by hitting F7. The search box isn't new, but now it'll only look for files and folders within the folder or drive you've currently selected, helping to narrow things down quite a bit. Once search results have populated, click the Search tab near the top of the screen to expose more options in a ribbon menu. If there are any folders or libraries that you'd like to pin to your Quick access menu, simply right-click them in File Explorer, then select "Pin to Quick access" and they'll be easily available in the left pane. The old Libraries features is nowhere in sight, but it isn't gone. Simply go to the View ribbon menu, then click the Navigation Pane option. From here, select the "Show libraries" entry and it'll be back in the left-side pane. There's more to Windows 10 than just the Start menu, quick action toggles, Cortana, desktop and window controls, Edge, and the new File Explorer. 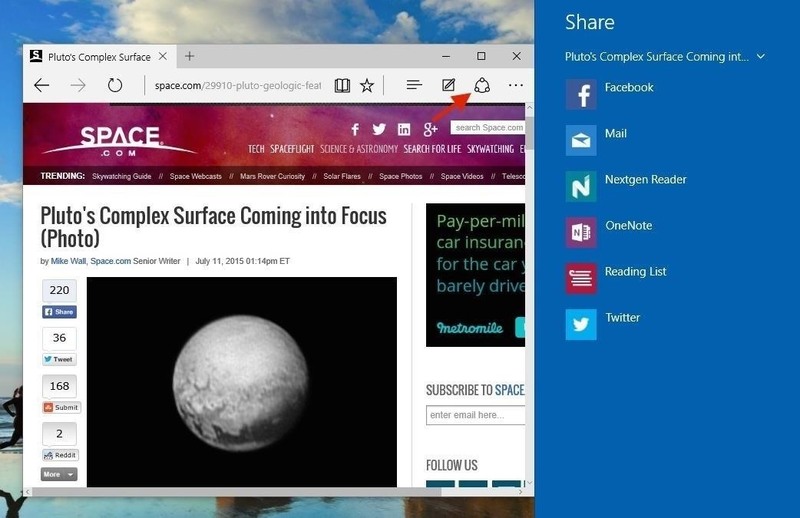 Here's all of the other goodies hiding within Windows 10. Windows 10 sports a spiffy new Login screen with its "Hero" background, but annoyingly, without a way to change the background. But with the help of a third-party app, you can very easily change the background to a color or picture of your choosing (and remove your account picture for a sleeker look). More info here. The Windows 10 lock screen is great if you're using a tablet, but for most of us with standard PCs, it's an unnecessary feature. Unfortunately, there isn't a straightforward way of removing it, but there are a couple of methods that are easy enough even for the most-novice user. More info here. 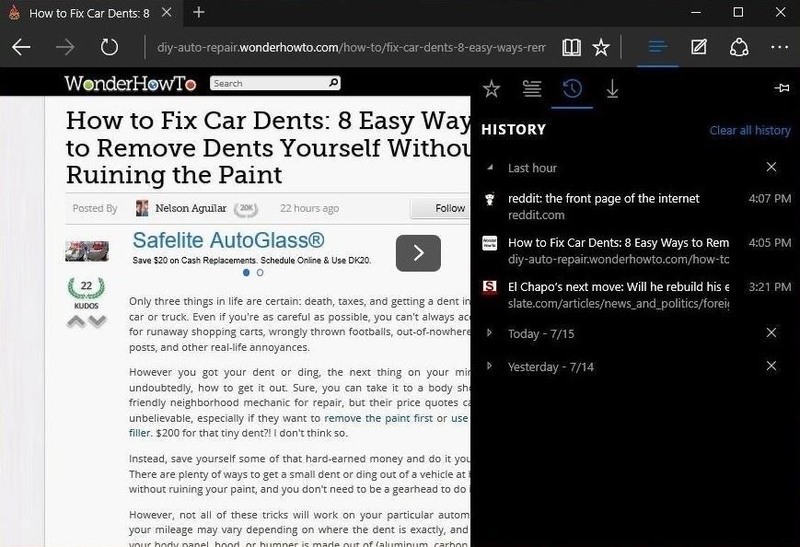 The Edge browser comes with a Dark mode, but the theme can also be applied to other menus and apps. To do so, you'll need to delve into the Registry, but it's all pretty simple. More info here. Microsoft's OneDrive is their cloud storage service, and it integrates incredibly well across Windows, Mac, iOS, and Android systems. As long as you have the OneDrive app, all connected devices can share data. More info here. It's always a good idea to keep your system backed up, and Windows 10 makes it really easy to do so using the built-in "system image" utility. More info here. And it doesn't stop here. Check out our followup guide with 15 more tips and tricks you need to know to master Windows 10. Got any tips not covered? Be sure to share your own in the comment section below, or on Facebook, Google+, or Twitter.